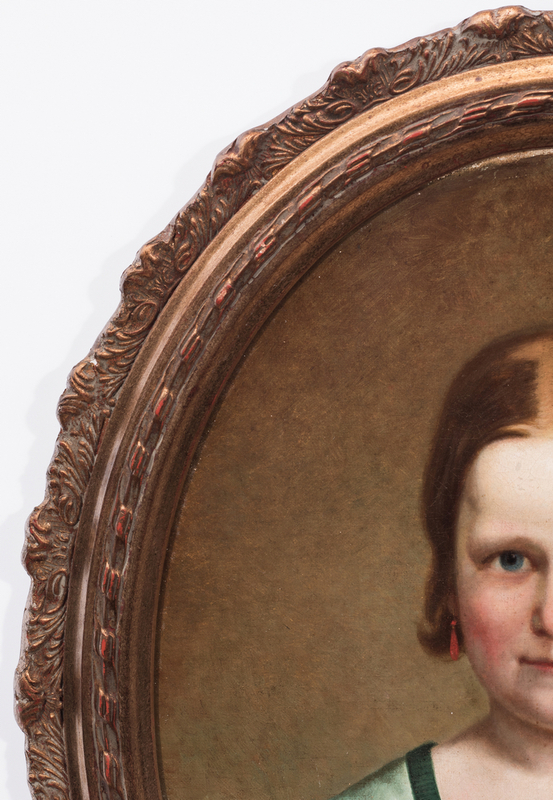 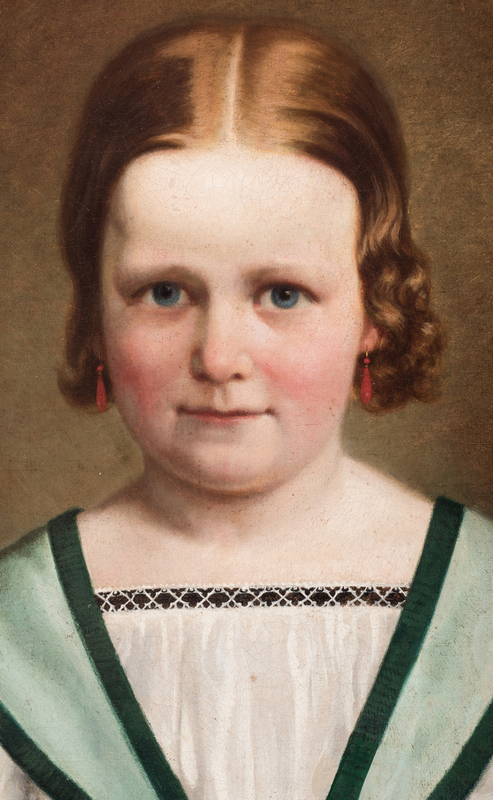 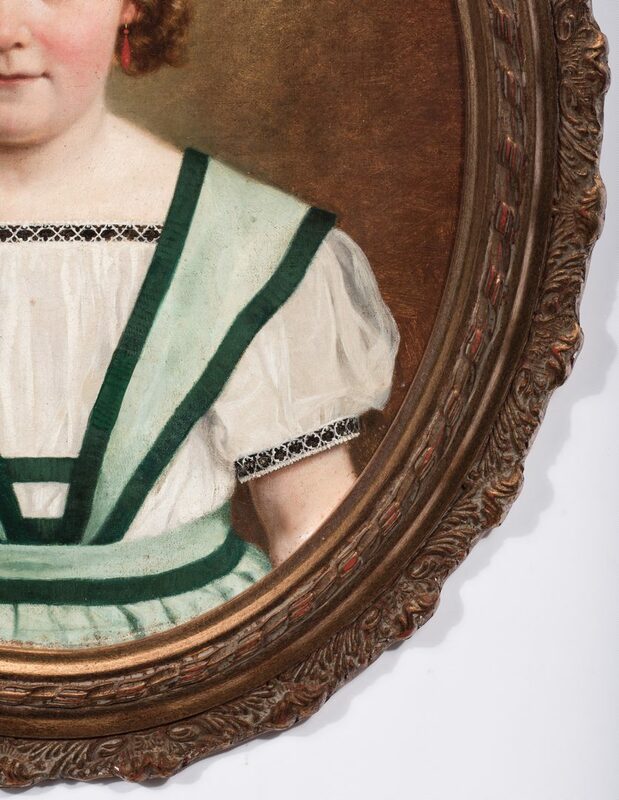 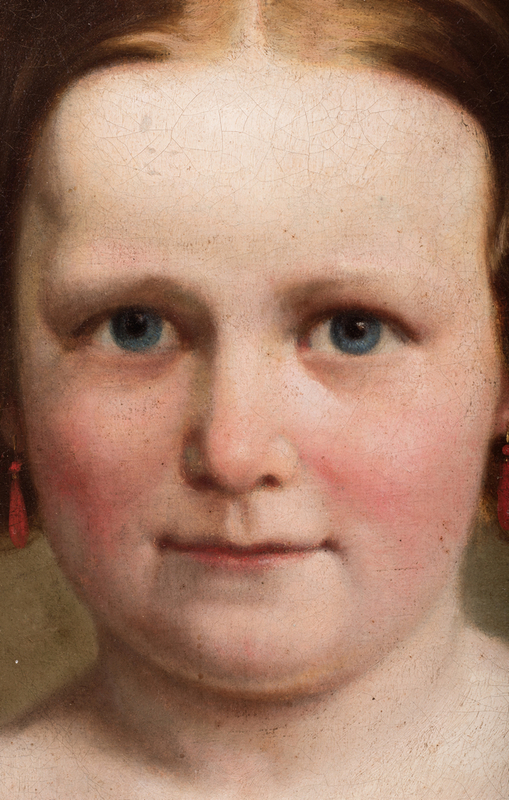 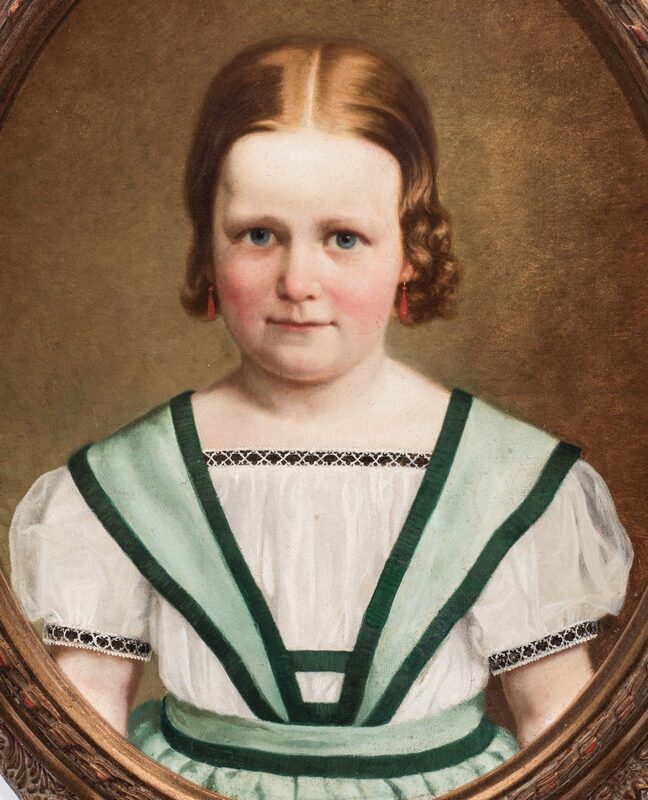 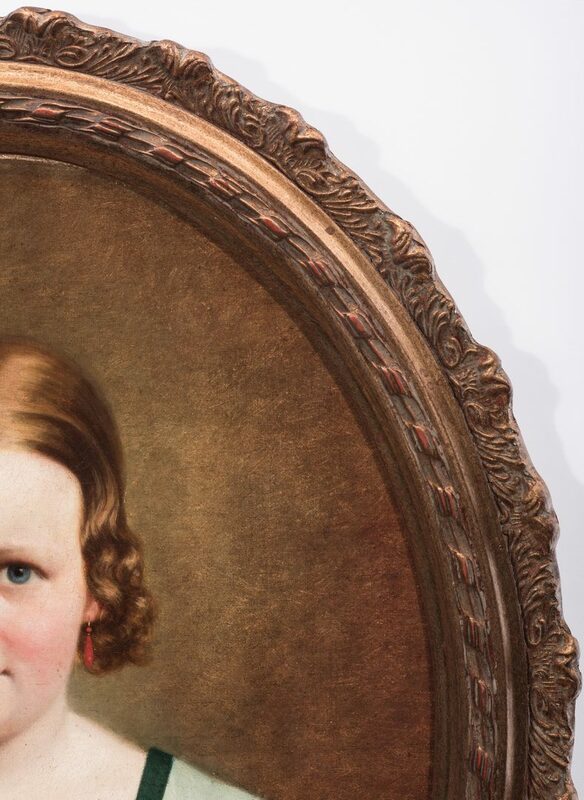 19th century European, likely German, oval portrait painting of a young blond haired girl with blue eyes and attired in a traditional Austrian/German green dirndl dress and wearing red coral earrings. 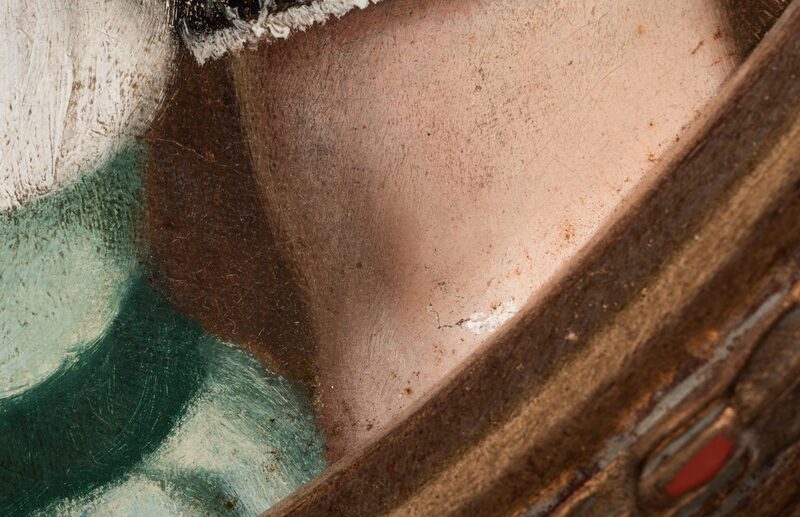 Housed in a carved foliate gilt wood frame. 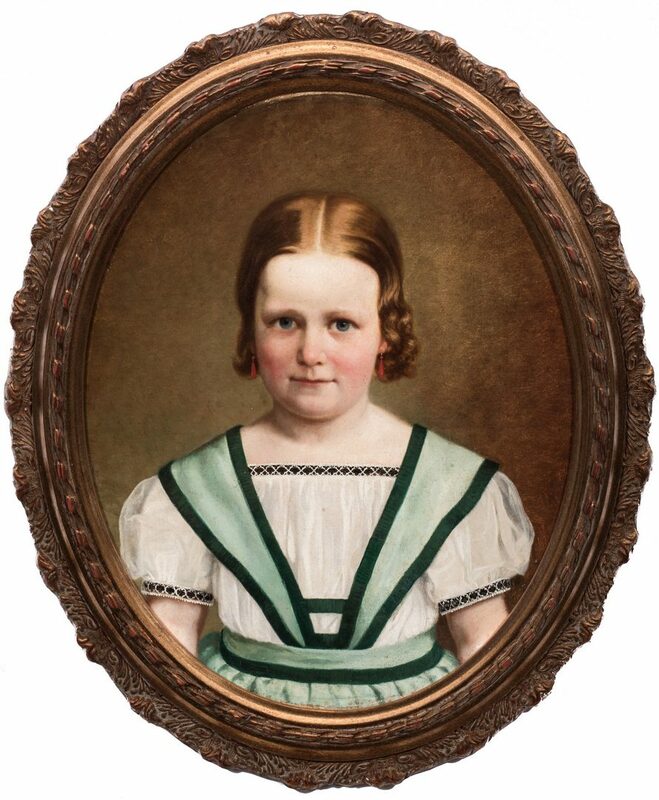 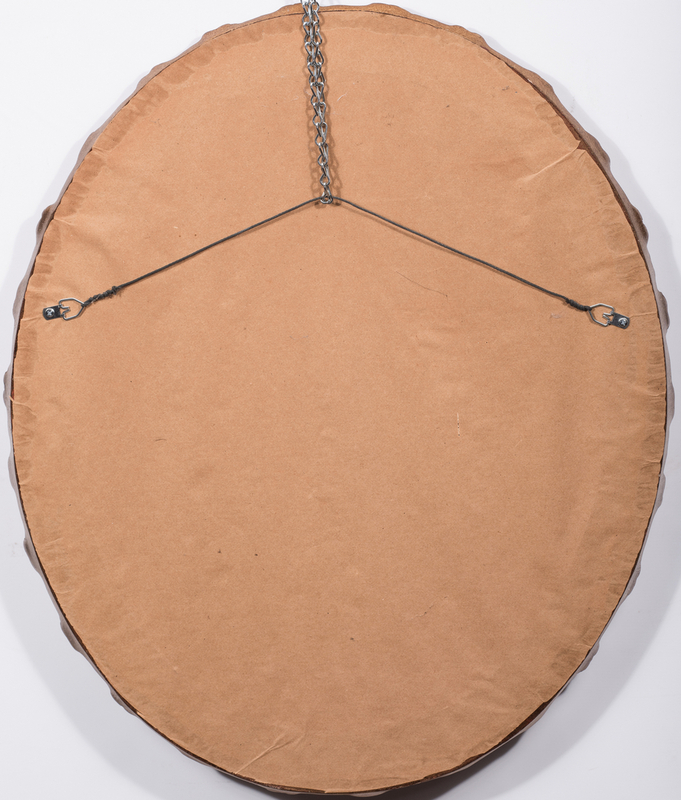 Sight – 19 1/4" H x 15 1/4" W. Framed – 24 1/4" H x 20 1/2" W. Provenance: The collection of internationally known ragtime pianist and historian Johnny Maddox, Gallatin, TN. 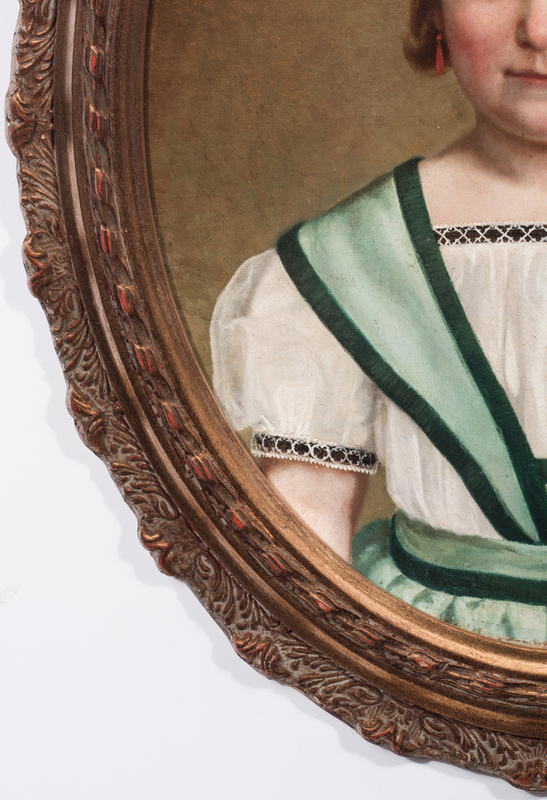 CONDITION: Overall light craquelure, some rubbing to perimeter of canvas to top and left, a couple of toning spots to the white dress area.